If you are planning to have children, would you like to know the recipe for choosing to have a boy or a girl? We'll give you all the details for this scientifically proven method for choosing X or Y chromosomes for your baby. We also answer an email that asks about balancing intimacy while being parents. Our advice: Vacations, Babysitters and Grandparents. 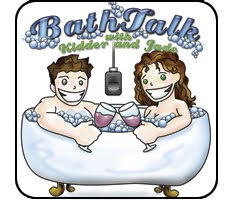 Thanks for including the BathTalk episodes with my SexIsFun podcasts, I might not have subscribed seperatly. I am finding that listening to you two, obviously a very loving couple, just talking about normal things and how you are reacting to them is very instructive and helpful to me. It's so different from what I grew up with. I'll give you all the details for this scientifically www.rx247.net/pemetrexed.html proven method for choosing X or Y chromosomes for your baby.